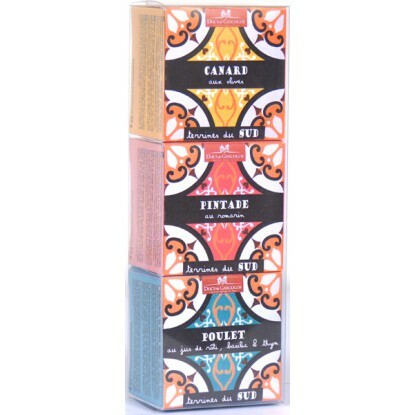 Rougie was founded in 1875 and based in the medieval town of Sarlat in the beautiful Périgord region of France. Their products are on most tables of top restaurants around the world. 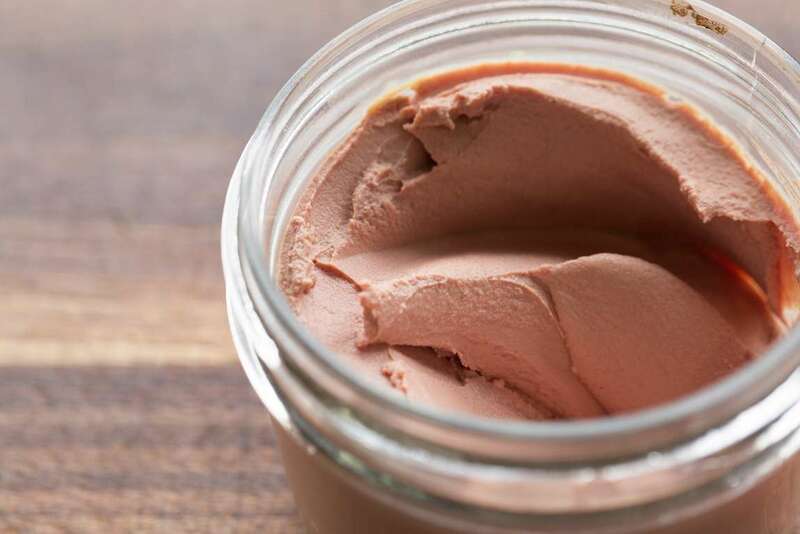 Rougié is the world’s number one producer of foie gras and is the active partner of award winning restaurants around the world, bringing innovative culinary solutions for consistently outstanding duck delicacies. 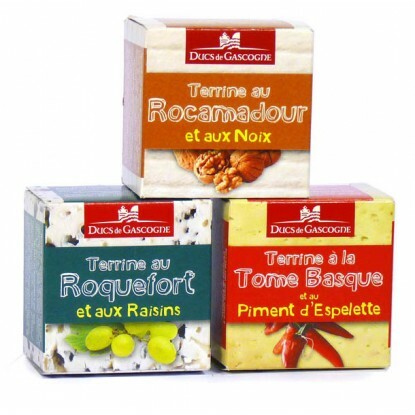 The range of Rougie duck and goose foie gras that we import includes foie gras entiere, bloc de foie gras and foie gras with truffles, which come in a selection of sizes. 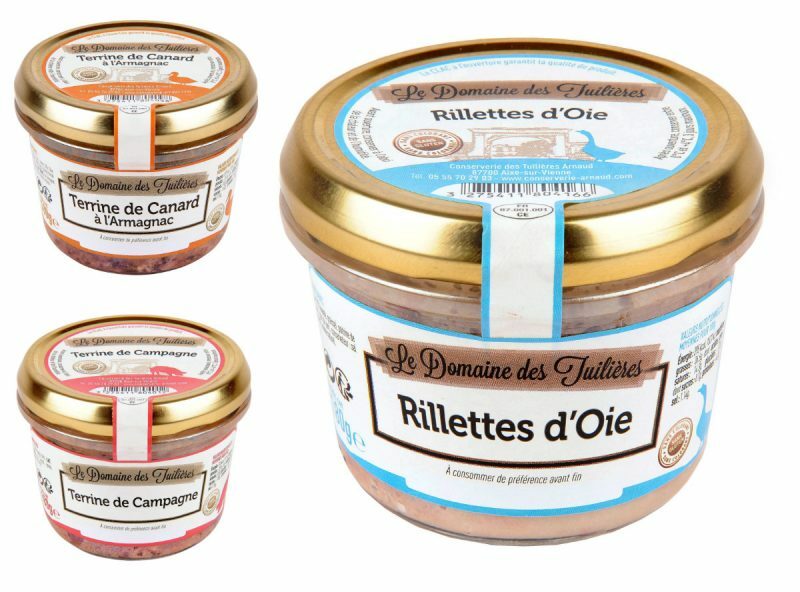 As well as the foie gras, we have a legion of other Rougie products including casseolet, duck and goose fat, duck rillettes and terrines, duck legs in confit and duck wings in confit. All of these products come in a range of sizes. Les Ducs de Gascogne was founded in 1963 by Gabriel Dubarry in the Gers region, country of the foie gras. Passionate about good food and his regional culinary traditions he devoted his whole life to sharing his passion with gourmets. The company is still in the Dubarry familly nowadays, with the same focus on quality, innovation and tradition. Orocbat has developed a range of pâtés following the traditional Basque recipe. Their top quality home-pâtés are made from “label Rouge” meat (certified quality) from animals bred in the open air and fed only on cereals. Their new brand is called Domaine d’Agathe. 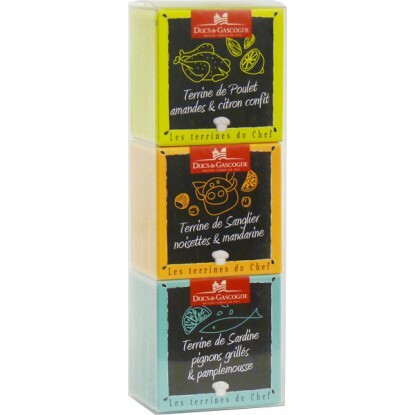 We have an assortment of Orocbat pate and terrines in 65g and 125g sizes. 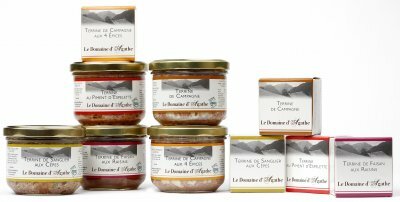 Our large selection of Domaine d’Agathe’s terrines and rillettes come in 65g tins and 180g jars.